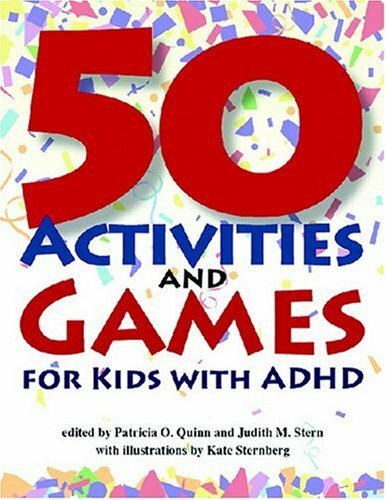 Welcome to 50 Activities and Games for Kids with ADHD! This book is a treasure trove of activities and information for kids with attentional disorders who are between the ages of 8 and 13. Originally published in our newsletter Brakes, we felt they were just too good to keep to ourselves! The more than fifty information-packed feature articles, games, puzzles, and letters from real kids offer the helpful suggestions and solutions to everyday problems involving homework, getting along with others, and becoming better organized. Kids, teachers, counselors, and other professionals all share their great ideas in five subject areas: school, sports and recreation, friends, feelings, and families. Enjoy these pages in any order you like. If you’re working with a counselor or in a group, you might like to do some of the activities together. No matter how you used this book, you’ll learn a lot about yourself and about how to make the most of your many talents and abilities—while having fun! We hope you’ll find many new ideas and helpful hints to make life go more smoothly.